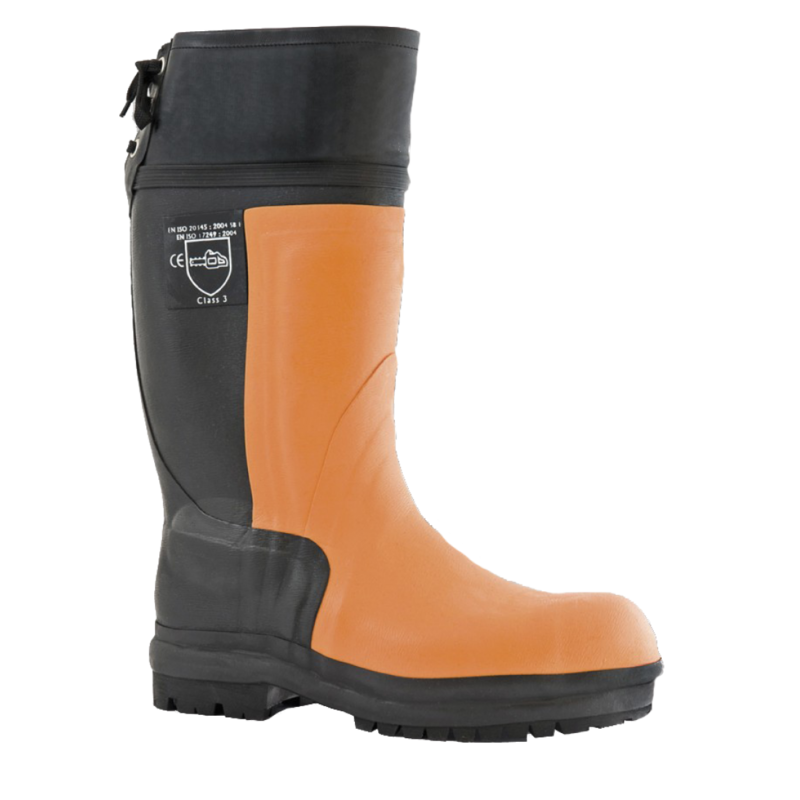 The THCH1 chainsaw wellingtons from Treehog benefit from having a full fabric lining, a low profile inner seam to prevent abrasion, a removeable and replaceable foot bed & also an adjustable laced cuff around the calf to prevent ingress of dirt. 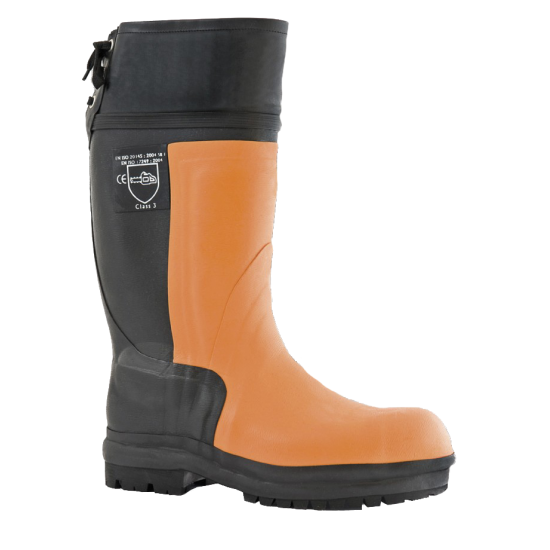 Manufactured from a top-quality rubber with built in chainsaw protection that conforms to Class 3 (28m/s) & 200J protective steel toe cap, these wellingtons offer the user excellent protection. The rubber is also chemical & short-term heat resistant.